Editor’s Note: Everyone’s tolerance of cold is different, but we can all agree that anything below 0ºF (-18°C) is COLD. This week, Scott shares what he wears to conquer it. ​I have a lot of experience over the years cycling when it’s below 0ºF. 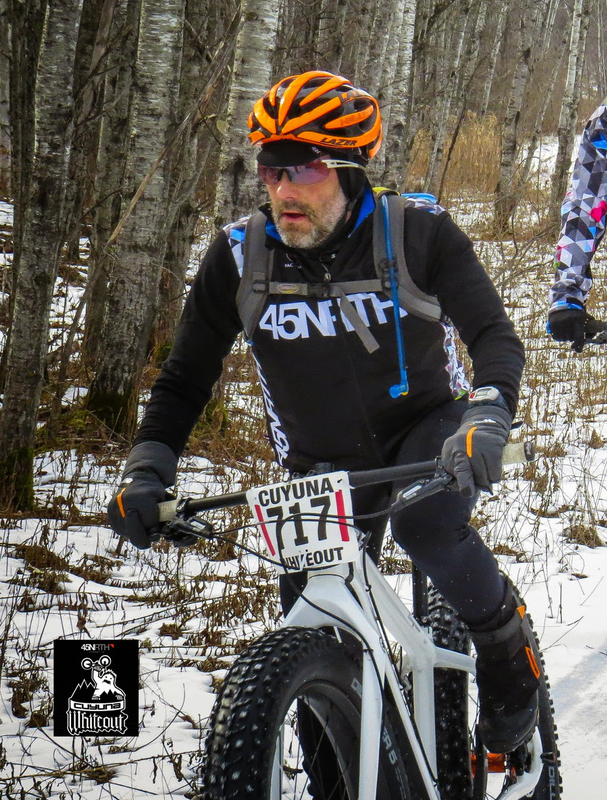 From delivering coffee by bike during my time with Peace Coffee to riding the Norpine Fat Bike Classic at -15ºF (-26°C) in 2017, I’ve learned the best way to teach yourself how to dress in extreme conditions is to get out there and ride in it yourself. When winter cycling at -10º - 0ºF, overdressing is a huge concern. Most people think to stay warm, they need to throw on as many layers as possible. But before they take one pedal stroke, they are already sweating. This can put you in the danger zone in a heartbeat. So, the first thing on my mind when I gear up is layering. My basic set-up is wool against my skin, some insulation (which varies depending on physical exertion) and a breathable wind-blocking layer on the outside. For cycling when it’s below 0ºF, I use the 45NRTH Wool Tee against my skin. I wear my favorite Blackrocks Wool riding sweater for insulation, and my Naughtvind Jacket to trap heat and block the wind. I start my ride with the jacket zipped up, but as I start to warm up, I’ll open the pit zips to allow some heat to escape and keep me in the comfort zone where I’m warm, but not sweating. On my legs, I’ll layer my summer riding shorts with an insulating, wind blocking pant. My favorite shorts right now are my Ketl Mountain liner bibs. They wick moisture away from my skin to keep me dry while the Naughtvind Pants trap the heat. Just like my jacket, I’ll keep the thigh vents closed to start, but open them as I warm up. The back pockets are perfect for stashing my phone. Keeping your electronics warm, especially your phone, is always a good idea when you’re cycling at below 0. Speaking of keeping things warm — eating and drinking is a big problem at these temps as everything freezes up very quickly. I’ve come up with a clever way to keep my favorite Hammer Gel from freezing. I mount my Revelate Designs Mountain Feedbag to my bars and stash a few foot warmers inside about 20 minutes before I ride. This creates a nice warm pocket for my gels. Not only does it prevent them from freezing, but they are actually warm. Hitting a toasty Apple Cinnamon or Hazelnut Chocolate gel mid-ride is a TREAT. If you know me, you know I keep it pretty tight up top … like bald. So keeping my noggin warm at these temps is critical. I’ve found that I need to keep the wind off to stay comfortable, so I go with the Stove Pipe hat. The ear coverage is great and it fits under my POC helmet perfectly. When the temperature is closer to -10ºF (-23°C), I add some extra protection. I often layer the Toaster Fork merino wool balaclava. A lot of people ask why I don’t wear a winter-specific helmet. I tend to overheat too fast and it doesn’t allow for layering options as a standard summer helmet does. To cover my eyes, I’m loving the Oakley Wind Jacket glasses with Prizm snow lenses. The extra coverage is great and doesn’t fog up like a standard goggle. It’s amazing how much they help you see the good lines in the snow. I also apply a layer of Dermatone skin protector on my face to help block the wind and sun. Believe it or not, you can get sunburned at -10ºF. Keeping your feet warm is key to a fun ride. When temps reach below 0ºF, I always wear my Wølfgar boots. With one or two pairs of 45NRTH socks on my feet, I never have to think about getting too cold. Plus, the stiffness is a great bonus at a race. Finally, I rock the Cobrafist pogies for my hands. They allow me to wear a thinner glove and stay warm while retaining the dexterity to eat and operate zippers easily. All this gear really adds up when it’s time to travel to the trail or to the race. Pro tip: Separate all your gear into different bags. I really like having each part of my kit organized — boots and socks in one bag, helmet, glasses and headwear in another, etc. This makes getting dressed and out on the trail much easier.